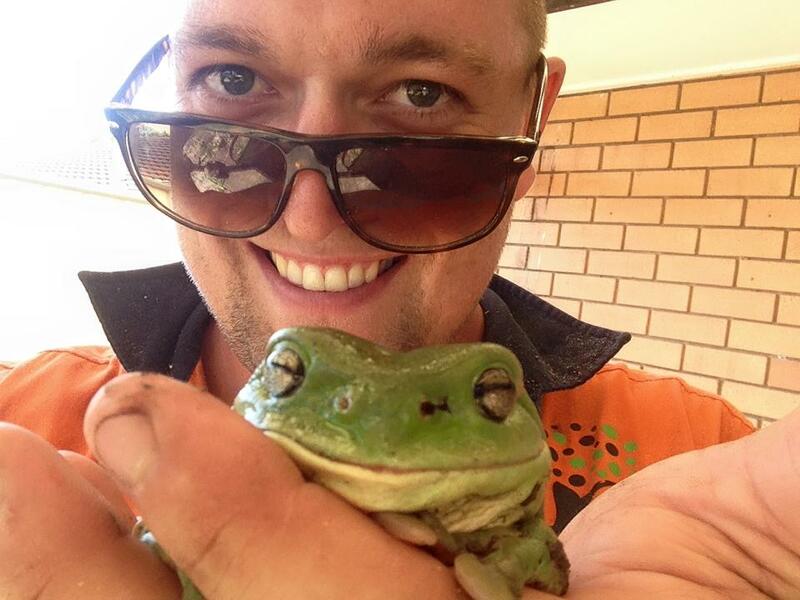 Hi and thanks for choosing Capalaba Tree Removal. Your local Brisbane tree removal professionals. Whether you have dying trees that need to be removed, large trees that need to be lopped or unsightly stumps that need to be ground out, you can turn to Capalaba Tree Removal. We are a reliable and experienced tree lopping, tree removal, tree service, and stump grinding service based in Capalaba. Our professionals serve customers with tree lopping and tree removal services throughout the Redlands shire area in Queensland including suburbs such as Alexandra Hills, Victoria Point, Cleveland, Birkdale, Wynnum, Wynnum West, Thornlands and Wellington Point. We've been tree lopping Brisbane Southside for over 15 years. ​Our trained Capalaba Tree Removal Team focuses on providing the highest quality tree lopping, tree service, and stump grinding and tree removal Brisbane Southside whether in Redlands, Capalaba, Alexandra Hills and Surrounding Redlands areas. When you call Capalaba Tree Removal for an appointment, we will come out, inspect the trees requiring services, provide a reasonable estimate and schedule the work at your convenience. Our professional Tree Lopping experts work quickly and efficiently, focusing on protecting both your family and your property. For Capalaba Tree Removal or tree lopping in Alexandra Hills, Wellington Point, Cleveland, Victoria Point, Wynnum West, or Birkdale, call us. We promise to exceed your expectations. 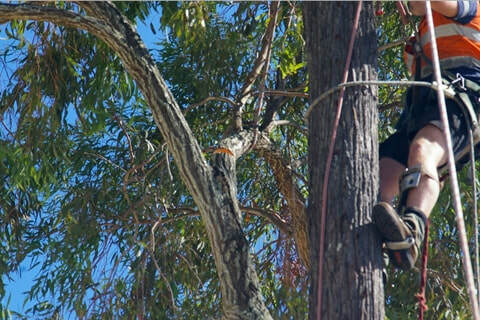 As professional arborists in Capalaba, we have training, expertise and experience in working with a wide variety of trees including gum trees and eucalyptus trees. We also provide palm tree removal and trimming for when those palms get over grown. When you need tree loppers, tree pruners, or someone to provide stump grinding or tree surgeon services in Brisbane Southside whether it is Redlands, Alexandra Hills, Victoria Point, Cleveland, Birkdale, Wynnum, Wynnum West, Thornlands or Wellington Point, or anywhere you need tree lopping Brisbane Southside, give Capalaba Tree Removal a call. We will send an arborist out to provide advice and a free estimate. Either reach out to use via phone or get a free tree lopping quote via our tree lopper quote form and we can come out to your home or business any where in the Capalaba, Alexandra Hills, Victoria Point, Cleveland, Birkdale, Wynnum, Wynnum West, Thornlands and Wellington Point area to take a look at your needs. Charge you too much or suggest services you dont need. Leave your yard or property looking like a mess when we leave. Home & Commercial Tree Lopping Redlands, Capalaba, Alexandra Hills and Cleveland. * Trucks provide the support and height required for our tree removal experts and arborists to do their work safely and efficiently. * The occasional use of cranes allow our tree loppers to lift extra big and heavy sections of fallen trees over your home or other buildings if needed. * Loaders, designed to carry several tons, can quickly and easily move logs off your property. * Stump grinders provide fast removal or grinding of the stumps remaining once a tree has been removed. * Wood chippers grind up branches and brush, converting them from a nuisance to useful mulch for flower beds, gardens or landscaping. ​Large, old trees like gum and eucalyptus trees can be beautiful, majestic features to any home property. Many people looking for a new property may be seeking these grandfather of all trees as one of the many things they desire. As in all things, the downside of these extra large trees is that they can be difficult to trim and prune, and when the unfortunate day arrives when they need to be removed, the task can seem daunting. For Capalaba Tree Removal as well as tree lopper, tree pruning, or stump removal services, call an arborist in Brisbane Southside. Palm tree removal is a specialty. We will happily send someone out to evaluate your unique situation. Whether you live on a multiple acre property with a multitude of trees or in a smaller home with several large trees, we provide Tree Removal in Brisbane Southside for you. No job is too large or small. Simply call and ask for a free estimate. You can expect an affordable tree removal cost in Capalaba from us. Whether you own a small shop on the edge of town, a large popular restaurant on a beautiful rolling piece of property or a hotel in the center of the city, we can provide Tree Removal for businesses, schools, property management companies or community organizations located in Capalaba Alexandra Hills, Victoria Point, Cleveland, Birkdale, Wynnum, Wynnum West, Thornlands and Wellington Point or anywhere in the Redlands area. When a Capalaba storm blows through and you find a large tree has fallen and blocked your driveway, give us a call. If a dying tree is in danger of crushing your garage, contact our office. Whether you have tree limbs affecting your power lines or rotting branches putting your children in danger, our company can come out any day of the week with emergency tree removal and branch trimming services. ​Our company is fully insured, and our arborists and tree loppers in Capalaba are extensively trained in tree removal safety. We do not settle for minimal precautions in the all-important area of safety and hold our tree surgeons and arborists accountable to the highest standards of risk management and safety. We can also help with any necessary government paperwork and requirements to make sure you are not subject to fines or other missed details. Capalaba Tree Removal can do the big tree removal jobs and the small tree lopping and trimming jobs. The Gum trees, the eucalyptus trees. Tree, bush and shrub shaping and trimming. As well as doing the removal of pesky palm leaves and a branches. We also offer free mulch with all our tree removal and stump grinding so you can reuse your tree waste after we have removed your trees. If in the event you wish to keep your tree and simply move it to another location, our Capalaba Tree Removal Team can help with transplanting your tree or bush to a new location. We can also assist with tree removal and stump grinding if in the event that you have a new block of land or acreage that you need to lay down a new concrete slab for a house, shed or other structure. Nothing is too big or too small for our team and with our 4th generation of experience we have the tree removal experience to work on large properties, confined spaces and at large height. Its our Capalaba Tree Removal Guarantee that has made us one of the safest, highest quality and most affordable Tree Removal and Tree lopping companies in Redlands and Brisbane. We conduct all work in line with our exacting standards as well as carrying out all work to Australian and State Workplace Health and Safety standards. This has resulted in no major damage to person or property with all our tree removal work carried out across Brisbane. So you know that with the Capalaba Tree Removal Team, you tree lopping and stump grinding job will be done at the high standard possible. So you can rest easy and look forward to enjoying your newly manicured yard. We keep our tree removal, tree lopping and stump grinding equipment in top condition to ensure we can provide the tree removal service that we have been known for during out 20 years in operations. So if you are wanting the best, most affordable and profession tree removal team in the Redlands, Capalaba​, Alexandra Hills, Victoria Point, Cleveland, Birkdale, Wynnum, Wynnum West, Thornlands and Wellington Point area. 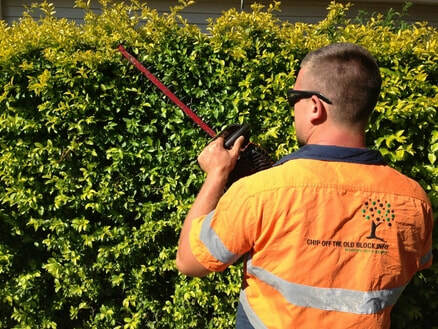 Please contact the Capalaba Tree Removal team today. We can come to your Brisbane Southside or Redlands location 6 days a week to assess your tree removal and stump grinding needs. So call us today to enjoy our quality service and tree removal satisfaction guaranteed work.